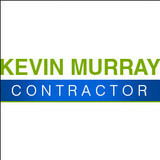 Kevin Murray Contractor serves Union and surrounding areas with a range of concrete services for your home. We can install concrete driveways and floors, which have a long life and are also very economical. There are many decorative finishes you can add, and you may be surprised how elegant concrete can look around your home's exterior. 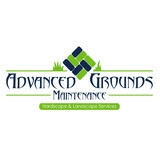 We can create beautiful concrete patios, steps, or walkways as well, whether for new construction or a remodel. View our website for more information about what we can do, or call today for a quote! Darryl Myers Brick has been in business for over 20 years. 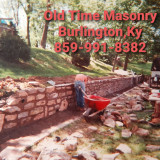 We specialize in professional masonry, stone and brick services. Is it time you spruced up your outdoor living spaces? 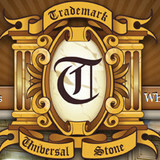 Creative Crestwood pavers, masonry contractors and stone suppliers can help. Professionals specializing in hardscape such as walkways, patios and retaining walls will work with you to design, plan, install and even fix your exterior and interior home projects. Read further to learn how to best find and work with Crestwood, KY stone, brick, paver and concrete contractors. From installing new exterior columns to repairing your chimney, masonry contractors can help you add both visual appeal and value to your property. They’ll know what kind of installation makes the most sense for your Crestwood, KY climate and regional style. Looking for something that will develop a patina with time? Or would you rather have your home feel brand new for years to come? Choosing the right kind of stone involves thinking about the future, too. Experienced brick suppliers and stone suppliers can help you find the material that will work for your home now and for years to come. These professionals aren’t limited to exterior work either. Whether you want a split-stone granite wall in the kitchen or need help installing traditional brick masonry on your fireplace facade, you’ll want a professional to get it right. If you’re already working with an architect or designer, he or she may be able to suggest a good Crestwood, KY subcontractor to help out. Here are some related professionals and vendors to complement the work of stone, pavers & concrete: Landscape Architects & Landscape Designers, Architects & Building Designers, Garden & Landscape Supplies, Driveways & Paving, Siding & Exteriors. Find stone, paver and concrete professionals on Houzz. Search the Houzz Professionals section for Crestwood, KY stone, paver and concrete professionals. Browse photos and read reviews, and contact a pro if you like their work.